Large French handwoven basket with thick 50cm navy blue leather handles and leather trim around the edge. Ideal as an everyday basket or handbag. 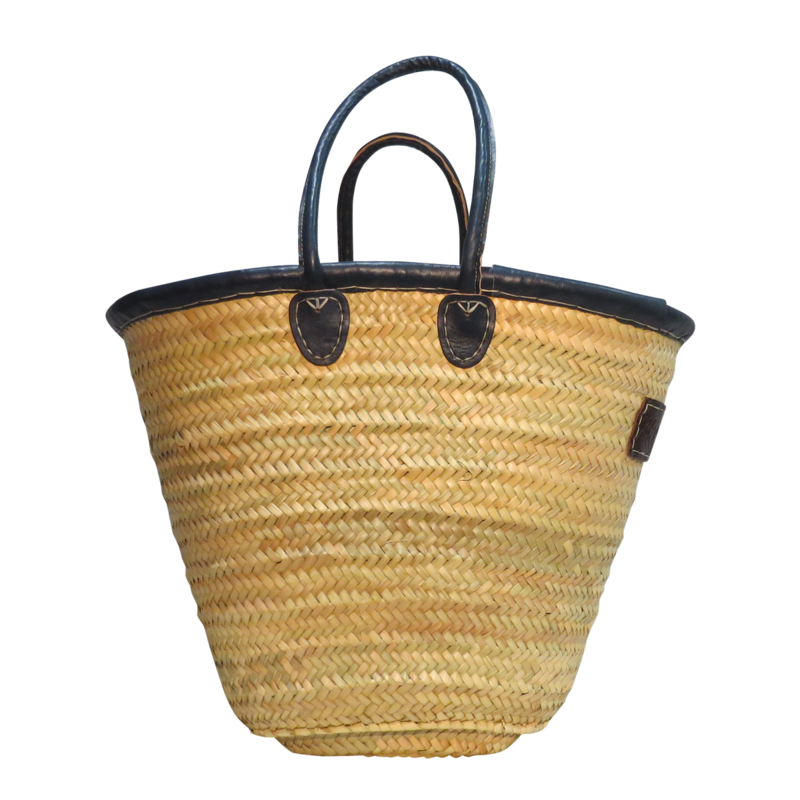 Also perfect as a picnic basket or beach basket and useful as a home storgae basket too.